By the end of World War II, the United States had sent hundreds of thousands of military vehicles to Europe, either for their own troops or to their Allies through the Lend Lease Program. 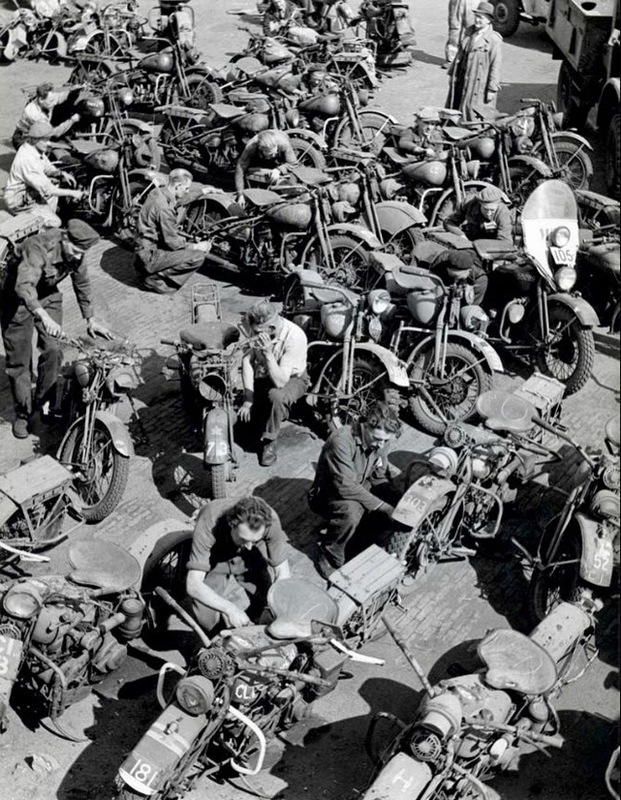 Once the War was over, it was impractical to ship all these vehicles back to the US, so many of them were destroyed. 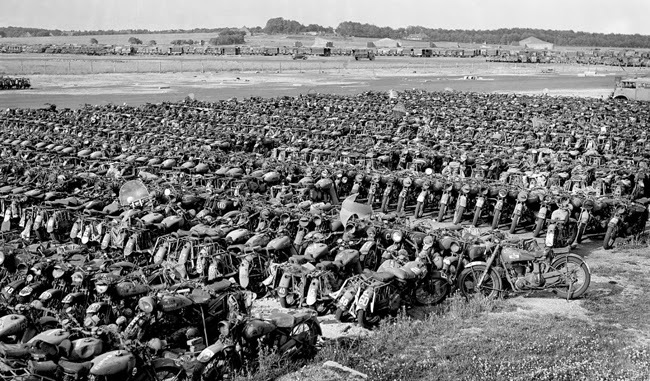 For years, stories have been told about how hundreds of vehicles, including Harley-Davidsons, were dumped off of ships, buried in large pits or otherwise destroyed. There has probably even been a quest or two launched to locate these secret dumping grounds filled with now valuable military machines. The Dutch were faced with a major transportation shortage by War's end. 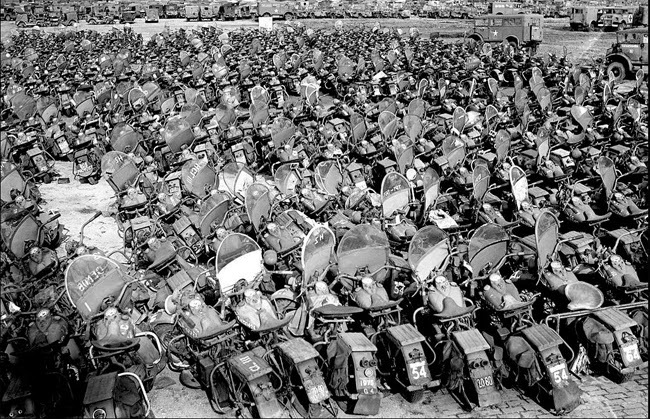 For them, these abandoned military machines were not mere junk vehicles, but the basis for a new transportation system. 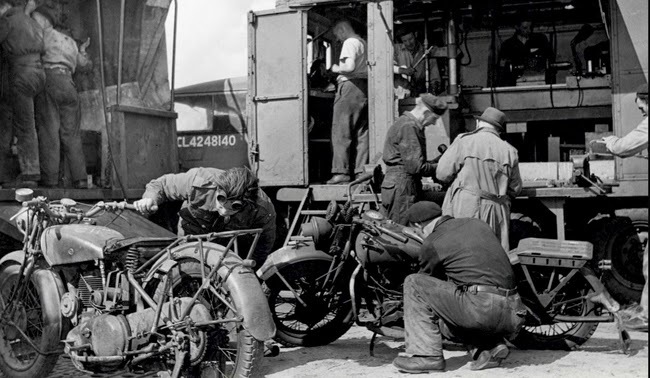 The Harley-Davidson WLC motorcycles were soon put back into service, the first six going to the highway patrol and refitted with Hollandia sidecars. The WLC's were used by the National Police, Royal Military Police and the Army, well into the 1950's. It seems that the Canadians had not only left used machines behind, but also plenty of new machines still in their original packing crates. The yellow WLC pictured at the top of this article is owned by the ANWB, which is the Dutch version of AAA. A converted food container was made into a package truck and loaded with tools and other items necessary for roadside assistance of travelers.